In this day and age, there is an ever-increasing need to concentrate on the farm breeding of chameleons if we, as responsible hobbyists, wish to retain the ability to keep and study this fantastic family of lizards. Currently, chameleons are faced with numerous, complex problems that are growing more urgent by the minute. Most everyone is aware of the deforestation that is taking place at an alarming rate in the remaining forests of the world. This is a growing, global problem which directly affects numerous genera and species of these delicate animals. At the same time that deforestation is threatening the survival of chameleonids, the pet trade is further jeopardizing the overall well being of these old world lizards. Many of the problems generated by the pet trade take place in the countries of origin and begin with the first step, the collection process. From the collection process, the problems only snowball, for the most part, all the way up to the point of importation and beyond. The farm breeding of chameleons can provide numerous benefits and support for these programs can help alleviate some of the more severe pressures on chameleon populations. There are quite a few benefits from farm breeding programs. The first is the sustainability of chameleon populations in the wild. Once breeder animals are collected from the wild and sufficient offspring are produced, the wild populations can be left alone to flourish. Only a handful of chameleon species are widespread and sustain significant population densities over broad geographic ranges. It is more common for chameleon species to inhabit very specific localities and habitats. 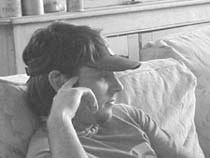 In such situations, over- collection can decimate a species. In such situations, farm breeding is clearly preferable. Another benefit of farm breeding involves its effect on local employment opportunities. In the under-developed countries where chameleons originate, poverty is, unfortunately, a way of life. So each newly created job contributes significantly to the local economy. 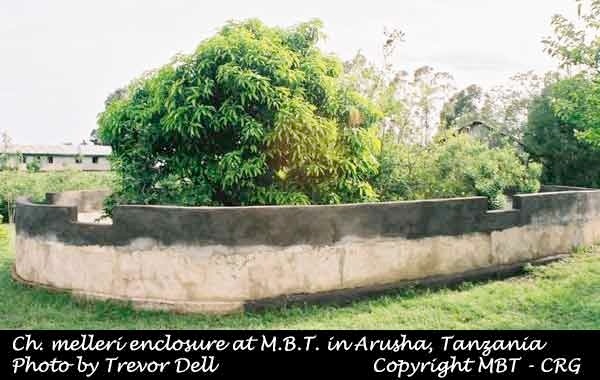 Along with the increased income provided to the indigenous population by chameleon farming, there comes the education of the workers and a heightened awareness among the local population as to the economic value of preserving the local flora and fauna. Chameleon farming also facilitates the collection of data to improve our scientific understanding of the natural and captive life cycles of chameleons. Data can be collected from the field such as when workers are in the bush collecting breeders for the farm. Such data can consist of but not necessarily be limited to: locality altitude preference, basic habitat parameters (IE: virgin forests, disturbed or secondary growth, meadows etc.) high and low temperature readings, humidity levels, rainfall amounts, soil type, soil temperature readings, categories of common insect prey within a given range and a basic understanding of the population densities of a given species for their typical range. As a general rule, any farm that hopes to do well will require these data for their own records to improve its successful operation. Such data can also provide the hobbyist with valuable information to optimize all aspects of captive husbandry including mating, egg laying, ovulation, incubation, and the rearing of neonates. To insure the success of farming operations and the simultaneous reduction in pressure on wild populations, the countries of origin must develop and implement annual F1 quota systems such as that imposed by the Republic of Tanzania. F1 permits allow the export of farmed animals but not of wild caught animals. Yearly recommendations can be made to CITES by the farm directors via the local game departments. The difficulty is in implementing a system by which exporters are prevented from passing off wild caught chameleons as F1 specimens. The solution to this problem is relatively simple. Because chameleon farms require a great deal of time, effort, resources and money they must keep accurate records. F1 permits would be issued only to documented operations. 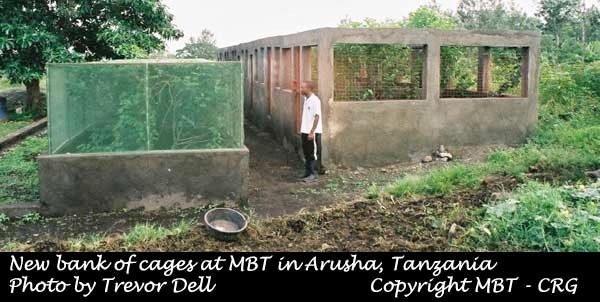 For example, on one well-established and prominent farm in Arusha, Tanzania, the local game department makes routine visits to inventory the stock and to assess the operation. Once the F1 quotas are in place, the yearly wild caught quotas can be lowered and the local chameleon populations can recover. With low to moderate yearly wild caught quotas, local populations would achieve sustainable levels. Countries such as Cameroon and Madagascar that have already experienced significant declines in many species could clearly benefit from the establishment and expansion of farming operations. 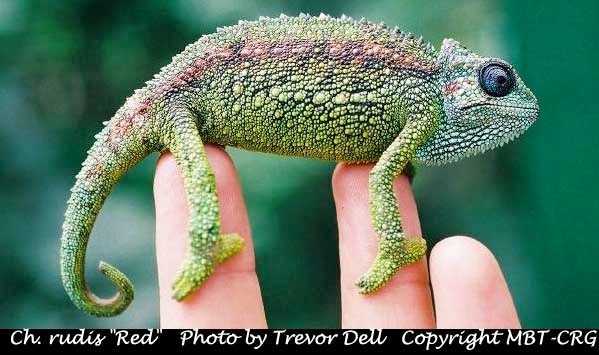 One of the most beneficial aspects of farm breeding is the provision of healthier chameleons to the hobbyist. F1 chameleons have not had to endure the typically harsh and stressful collection process. Equally important is the fact that F1 offspring are accustomed to being kept in enclosures and to human contact. Chameleon-human interaction occurs during observation, inventory assessment, feeding, cage cleaning and other types of routine maintenance. This habituation to the presence of humans increases the odds that an end keeper will purchase a chameleon that will thrive in a captive environment. Last, but certainly not least, we have the advantage that with F1 offspring parasite loads are drastically reduced below those typically seen in wild caught chameleons. Parasites in F1 offspring are most frequently limited to protozoan flagellates, which are common in the drinking water of most rural districts in the underdeveloped countries of origin. 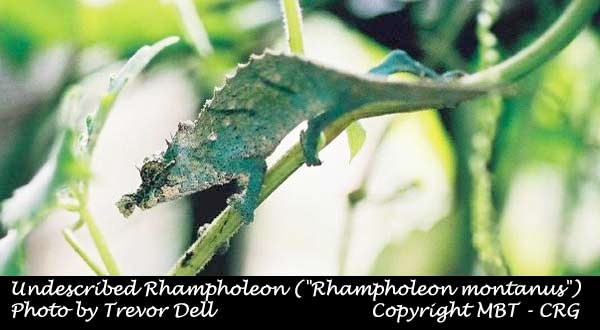 There are obviously numerous beneficial aspects to farm-bred and raised chameleons over typical wild caught specimens. However, these benefits come with an economic cost. Because farming projects involve more time, effort and resources, there is increased overhead such that F1 chameleons carry a higher price tag compared to wild caught specimens. 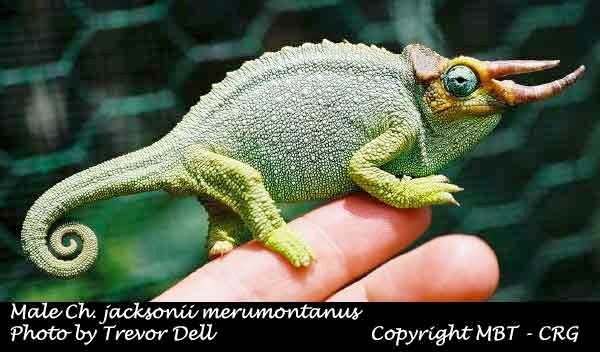 One the one hand, cheap, wild caught chameleons help bring more people to the hobby of chameleon husbandry. On the other hand, such cheap animals increase the likelihood of "impulse buying" by people who have not done the research or made the necessary investments in proper caging and lighting. With such preparation, the life expectancy of that impulse buy is depressingly short. Thus, higher prices might actually be seen as an additional benefit of chameleon farming. Chameleon populations are faced with many troubling and complex problems. It is easy for people to justify the exploitation of wild populations with statement like, "I don't feel so bad purchasing a wild caught chameleon knowing the trouble their habitat is facing." Unfortunately, this same attitude sustains the very market that is helping to facilitate the continuing destruction of forests. Farm bred and raised offspring are a viable alternative to imported, wild caught chameleons.